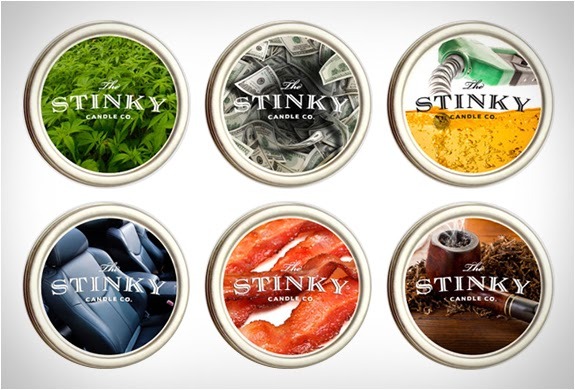 From the mind of Jeff Bennett comes something we are surprised someone hasn't already thought of by now, The Stinky Candle Company. The concept is very simple, Jeff was tired of the feminine candles that flood the market and wanted to switch things up a bit by introducing this line of more masculine scents that range from the the crazy to the more understandable. Bacon scent, hemp scent, fish scent, new car scent, gasoline, wet grass, car exhaust, fast food, and body odor are just some of the scents that are included in the 32 different options. Make sure to go check out their website here to purchase one today.